EF30 rectifier transformer. 6+6 pins vertical EF30 coil former. Bobbin Size=35.3mmX19.0mmX34.8mm. 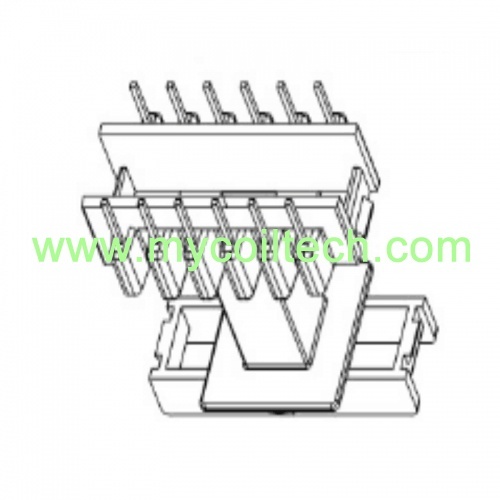 Pin pitch=5.08mm. Parallel Distance=15.24mm. 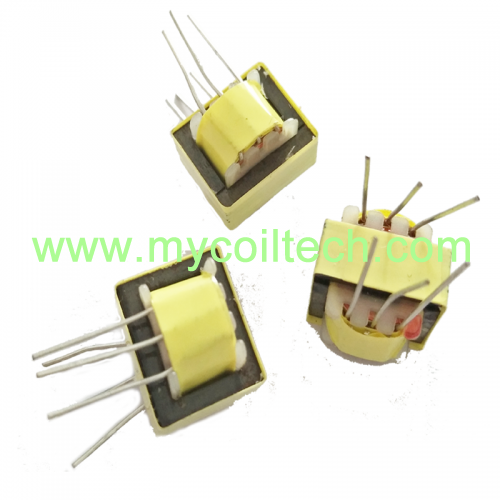 SMPS transformer has small size, high power and low cost, we design and manufacture high frequency transformer. 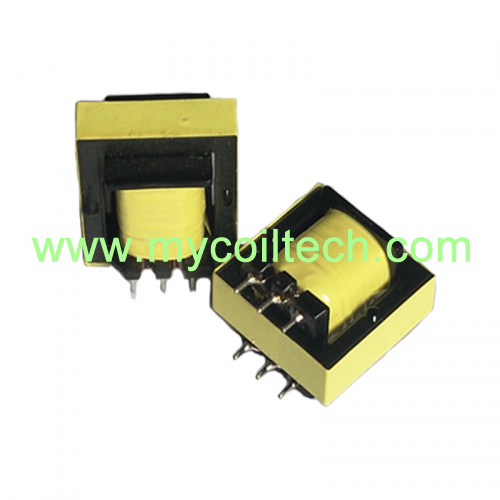 High Frequency Electronic Matching Transformers are intended for measuring electric signal voltages or currents which contain useful data. They match the signal source with the load ensuring the minimum signal distortion. Along with active components (such as transistors and lamps) they are included into devices amplifying electric oscillations that work within a wide frequency band. 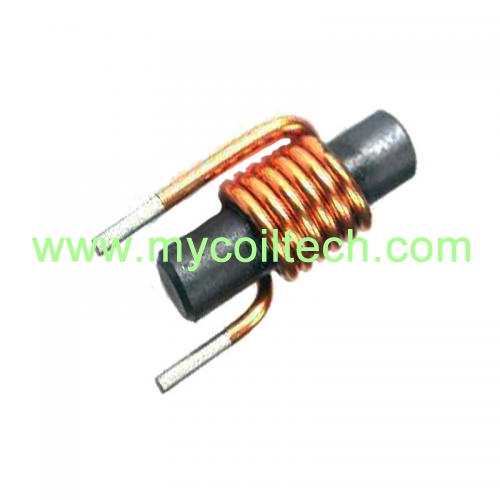 High frequency ferrite rod core magnetic coil inductor. Compact, light, easy surface mounting. Single-layer close winding. RoHS compliance and UL. 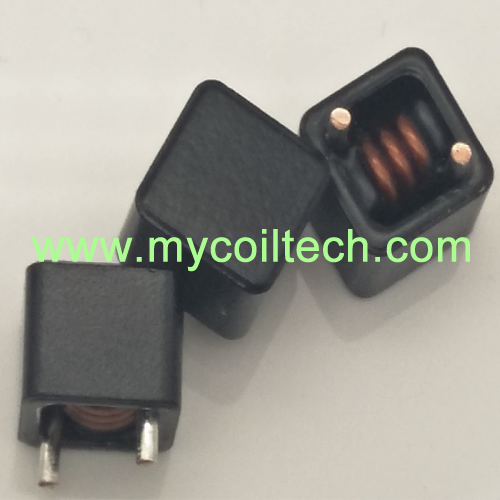 Customized EF25 high frequency flyback transformer mainly for electronic products,digital cameras,switch-mode power supplies,led driver applications,various types are available. 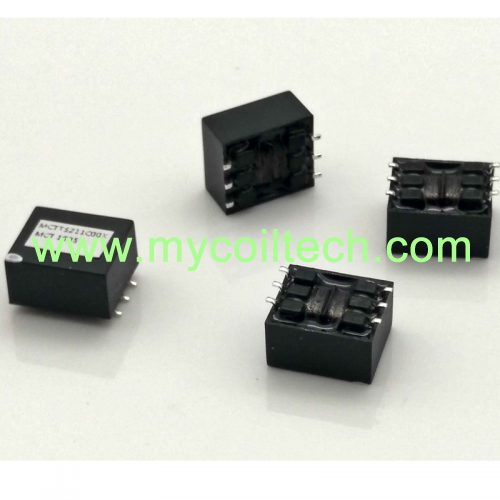 EI14 audio frequency transformer has stable inductance value, small inductance deviation during adding of superposed current, large working current. Hefei Mycoil Technology Co., Ltd. is a special iron clip for transformers (iron buckle, Clips, steel clip, steel card), battery connecting piece (pure nickel sheet, aluminum nickel sheet, nickel plated steel sheet, gold sheet, protective sheet nickel) Sheet (can be packaged), soldered nickel sheet, nickel sheet for automatic protection board spot welding machine, widely used in nickel-hydrogen nickel-cadmium battery, lithium-ion battery, mobile phone battery, laptop battery, mobile power battery, button battery, power Battery and other industries), flat transformer copper (copper strip, copper resistance, copper card), transformer package pin (PIN pin, pin, prosthetic leg, wire leg), PCB electronic material / transformer insulation pad (FR-4, anti-static) Fiberglass board), metal stamping parts and electronic products research and development, production and sales of modern enterprises. Our company has advanced production equipment such as high-speed precision punching machine, CNC high-speed drilling machine, CP line automatic cutting machine, etc. The processing can meet the various processing requirements of customers. We have professional design and development teams, our electronic components(High frequency transformers, electronic plane transformer, common mode chokes, EMI filters, general power relays, etc) are exported to many countries, we are passionate about our services and are trusted by our customers.